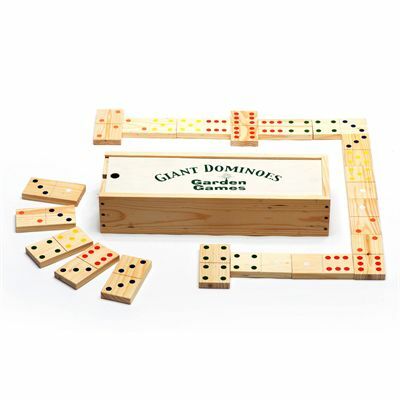 The Garden Games Giant Dominoes is a giant version of the popular dominoes game. 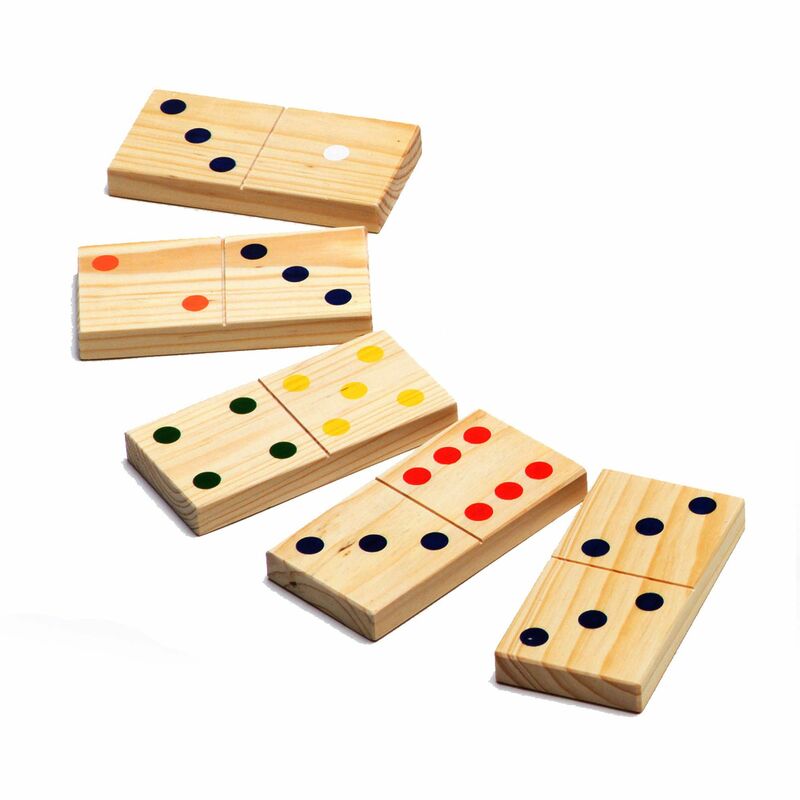 The set contains 28 wooden pieces packed in a well-designed, durable wooden box with rope carry handle. Each piece has two traditional, hand-painted playing sides. It is great fun for the whole family and can be played indoors as well as outdoors. 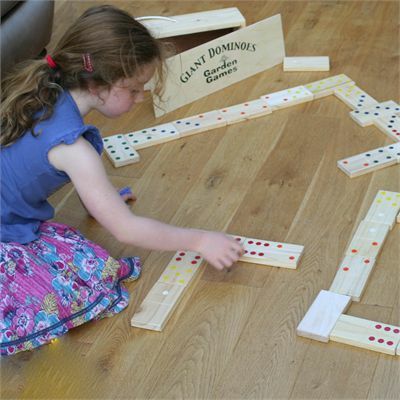 Each domino measures 13,5 cm x 7 cm x 2 cm. Even though the pieces are significantly larger than the standard ones, they are still easy to handle by the youngest players. Domino dimensions: 13,5 cm x 7 cm x 2 cm. 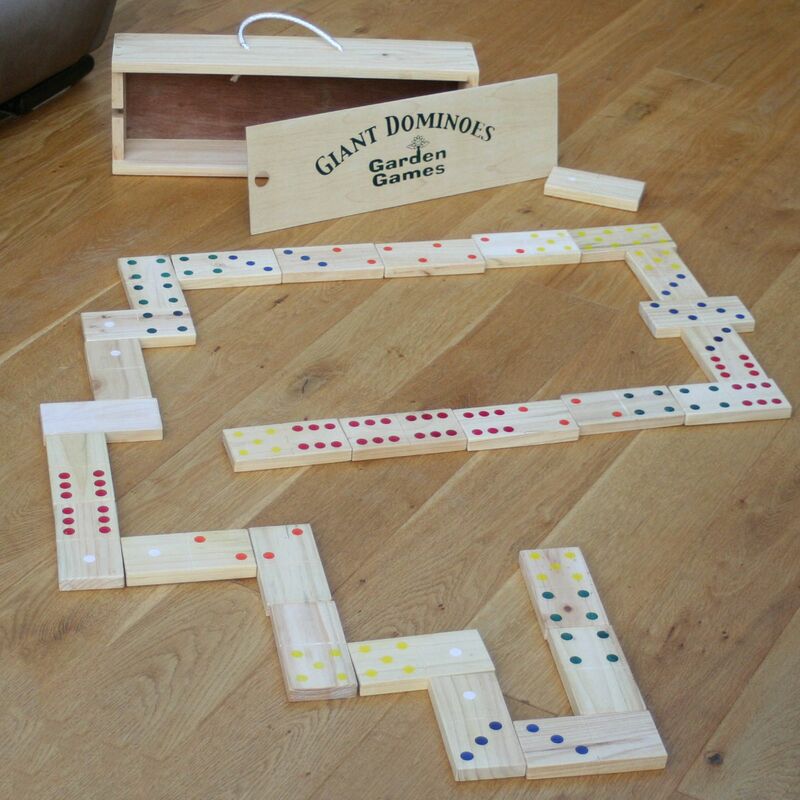 for submitting product information about Garden Games Giant Dominoes We aim to answer all questions within 2-3 days. for submitting product information about Garden Games Giant Dominoes. We aim to answer all questions within 2-3 days. If you provided your name and email address, we will email you as soon as the answer is published. for submitting product review about Garden Games Giant Dominoes.